From CUBuffs.com … With the sudden departure of former defensive coordinator Jim Leavitt now in the rearview mirror, MacIntyre has made some minor adjustments to the Buffs’ bowl preparations. After Friday’s practice, MacIntyre said safeties coach Joe Tumpkin will call the defense in the bowl game and will also take over coaching linebackers for the next two weeks. Cornerbacks coach Charles Clark will oversee the entire secondary and MacIntyre — who cut his coaching teeth in the secondary — will add an extra set of eyes wherever needed. The end result, MacIntyre said, will be CU’s defensive staff preparing a game plan much as it has done all season. Tumpkin, who served as defensive coordinator at Central Michigan for five seasons before coming to Colorado two years ago, said the game planning process and gameday play calling won’t be any different. Making the job easier for the CU staff will be a defense that is dominated by experienced upperclassmen. They have all spent two years in the scheme and are familiar with all the nuances. From the Daily Camera … On Friday, CU head coach Mike MacIntyre announced that Joe Tumpkin, who has coached the safeties for the past two years, will call the defensive plays and coach linebackers when the Buffs (10-3) take on Oklahoma State (9-3) on Dec. 29 in the Alamo Bowl. CU learned of Leavitt’s deal with Oregon like most people did, through a Fox Sports report on Wednesday afternoon. Leavitt was the highest paid assistant coach in CU history, at roughly $512,000 per year, but will reportedly make over $1 million per season at Oregon. George said CU did make an offer to Leavitt to extend his contract and give him a raise, but was nowhere close to offering what Leavitt will make at Oregon. The Buffs are prepared to pay more for coaches’ salaries this next year, however. MacIntyre has two years left on a contract that pays him roughly $2 million per season, and he and the school are in initial talks about an extension and raise. “We’re having discussions about the future,” said George, who added there is no timetable to get that extension completed. — Coach Tumpkin is coaching the defense and linebackers, Coach Clark is taking the whole secondary and Jeffcoat will have the defensive line for the bowl game. Practice video to come. — Coach MacIntyre is taking the whole team to see the new Star Wars this afternoon to reward them for helping him win all his Coach of the year awards. From the Daily Camera … Leavitt, at over $500,000.00, is the highest paid assistant coach in CU history. Leavitt has one year remaining on the three-year contract he signed when hired in February of 2015. Per the terms of the contract, Leavitt would owe CU $50,000 in liquidated damages for terminating his deal prior to Dec. 31. If Leavitt does leave, it’s unclear who would coach the CU defense during the Alamo Bowl. Safeties coach Joe Tumpkin would seem to be the natural choice to do so. Tumpkin was hired at CU in February of 2015 after spending the previous five years as the defensive coordinator at Central Michigan. As for the future, the Buffs have a stellar list of recruits commit ted to sign in February, including several top-notch defenders. One of those, linebacker Jonathan Van Diest from Cherry Creek High School, said he has only seen the reports and has not heard from CU or Leavitt, but will be disappointed if Leavitt leaves. “Honestly, a little disappointment to lose a coach like that,” Van Diest said. “I know a lot of us that are going in were really excited to work with coach Leavitt and be part of his program and defense. Van Diest said Leavitt leaving would not impact his decision to sign with the Buffs. “I’m with the Buffs 100 percent and that doesn’t change how I think or feel about the school or the program whatsoever,” he said. From the Oregonian … Jim Leavitt will be paid the highest salary for an assistant in Pac-12 history, according to Fox Sports’ Bruce Feldman, though the terms of the reported four-year deal have yet to be disclosed. Leavitt was paid $511,900 this season by Colorado. Leavitt, like Taggart, is a former South Florida head coach who was fired in 2010 before coaching in the NFL with the San Francisco 49ers before his return to the college level at Colorado. He was a finalist this year for the Broyles Award, given to the top assistant in college football. Taggart and Leavitt have another connection besides past stints coaching the USF Bulls: Both have worked for Jim Harbaugh, the Michigan coach whom Taggart counts as a close friend and mentor. BREAKING #CU defensive coordinator Jim Leavitt is going to #Oregon as the Ducks new DC gets a 4-year deal, source tells @FoxSports. HUGE hire for #Oregon & Willie Taggart. The deal Jim Leavitt gets will make him the highest-paid coordinator in Pac-12 history, per source. How great a job did Jim Leavitt do at CU? Buffs ranked No. 8 in fewest yds per play. 2 years ago, before Leavitt arrived, CU ranked No. 120. Background on #Oregon news: Jim Harbaugh was Willie Taggart’s best man..Jim Leavitt worked for Harbaugh w 49ers & has great respect for JH. How to beat Oklahoma State: Well, find a way to get officials to mistakenly award an untimed final down, then heave a Hail Mary-and-lateral touchdown. Too soon to make light of that? OK, Baylor, before its meltdown, and Oklahoma beat the Cowboys with big offensive performances directed by QBs Seth Russelland Baker Mayfield. Mayfield completed just 13 passes in the Bedlam victory, but the Sooners averaged 22.2 yards per catch. Same story with Russell, who averaged 21.5 yards per completion in the Bears’ Week 4 win in Waco. An explosive passing game can bury Oklahoma State, which proved susceptible to big plays at inopportune moments in its three defeats, including the Central Michigan mess in Week 2. Final exams started Dec. 10 and conclude Dec. 15. From CUBuffs.com … The University of Colorado athletic department will host the Colorado Football Signing Day Celebration at the Sheraton Denver Downtown Hotel on Thursday, Feb. 2. Former CU quarterback and current Fox Sports analyst Joel Klatt will host the luncheon that will highlight the exciting class of student-athletes who sign National Letters of Intent with the Buffs on Feb. 1. Guests will enjoy a look back at the memorable 2016 football season and an in-depth look forward at what has been described as THE RISE. Head coach Mike MacIntyre and the entire Colorado football coaching staff will give insight on the impressive class of signees and the future of the Buffs. Tickets for the event are $60 for individuals, $550 for a reserved table of 10 and $800 for a corporate table (preferred seating, program recognition, table sign and VIP guest option). Pre-registration is required and is available at cubuffs.com/events or by calling 303-492-5497. From the San Jose Mercury News … The Hotline has already covered its selections for the Pac-12’s best players (John Ross and Hunter Dimick), best coaching performance (Mike MacIntyre) and selections for the all-conference team. Worst game: Colorado 20, UCLA 10. And as a Thursday game with no competition, the ugliness had nowhere to hide. The Buffaloes’ seven-game improvement in conference record is unmatched in the history of the Pac-8/10-12. Real, indeed. Best play (offense): Colorado WR Bryce Bobo. We should have known it would be a special year for the Buffs when he corralled this TD catch in Autzen. Best half: Colorado’s second vs. Washington State. In a late-season duel matching title contenders, the Buffs outscored WSU 24-7 over the final 30 minutes, handing the Cougars their first conference loss. From CUBuffs.com … The 10-3 Buffs (No. 10 CFP rankings) will take a break for finals this week, then reconvene next Friday to continue preparations for their Dec. 29 matchup against No. 12 Oklahoma State in the Valero Alamo Bowl (7 p.m., ESPN). But while the players have the next few days off to wrap up their semester schoolwork, CU’s coaches will begin breaking down Oklahoma State film. The Colorado staff spent much of last week on the road recruiting and has not yet had time to delve into the particulars of Mike Gundy’s 9-3 team. CU hosted a number of recruits and their families in Boulder over the weekend, and they had a chance to watch Saturday’s practice in the Champions Center Indoor Practice Facility. Overall, the Buffs are compiling what many recruiting services are calling a top-25 class. From CUBuffs.com … Tedric Thompson has no doubt made his senior year one to remember, both from an individual as well as a team standpoint. He led the Pac-12 in interceptions this season with seven and tied for the conference lead with teammate Ahkello Witherspoon in passes defended (22). He was named first team all-conference by the Associated Press, second team All-Pac-12 by the league’s coaches and second team all-conference by Pro Football Focus. Tie it all in with CU’s first bowl game appearance since 2007, a 10-3 record and a top-10 ranking and it has made the last three years all worthwhile. Thompson arrived in Boulder as part of head coach Mike MacIntyre‘s first recruiting class. He remembers being mentored by some of CU’s upperclassmen then, and has done his best to pass on that kind of guidance to current Colorado youngsters. “(Former safety) Jered Bell was one person who always talked to me, told me there would be ups and downs,” Thompson said. “He helped me keep my head up. My freshman year, he told me that he felt like before I leave, I had the opportunity to do something great. From the Daily Camera … When he got the call earlier this week that his friend and former teammate has passed away, Chris Naeole didn’t hesitate to make plans to get to Boulder. “I came to pay respects to my brother,” Naeole said. Many others did the same on Friday, as former Colorado football star and 1994 Heisman Trophy winner Rashaan Salaam was honored and laid to rest. Salaam was found dead in a Boulder park on Monday night in what is suspected to be suicide. He was 42. An estimated 500 people gathered at the Islamic Center of Boulder, including members of Salaam’s family, legendary CU head coach Bill McCartney, dozens of former CU players and current administrators. Many of Salaam’s CU teammates, including Naeole, Derek West, Michael Westbrook, T. J. Cunningham and Matt Russell were on hand. CU athletic director Rick George, associate athletic director Lance Carl, chancellor Phil DiStefano and sports information director David Plati were also in attendance. “It’s sad to come here to see everybody like this,” said Naeole, who currently coaches the offensive line at Hawai’i. “But whatever I could do to come see my brother before they laid him to rest. From the Daily Camera … Between recruiting, a bowl game press conference and a college football awards show, Colorado head football coach Mike MacIntyre has been a busy man this week. It might be rough on his sleep schedule, but it’s been great for the Buffaloes, as he travels around the country talking about the resurgent football program. MacIntyre and his CU assistants have been on the road recruiting this week. He then went to San Antonio for Thursday’s press conference, and had to be in Atlanta for The Home Depot College Football Awards show on Thursday night to the accept the Home Depot Coach of the Year award. By this weekend, the Buffs will get back on the practice field. FRI., DEC. 9— 9:15-11:00 a.m. Interviews after; photo period about 30 minutes in each day for 25-30 minutes. From the CU athletic department … The funeral service for former Colorado running back Rashaan Salaam has been set for Friday, Dec. 9. The service will be held at the Islamic Center of Boulder, which is located at 5495 Baseline Road. The public is welcome to attend. The service will begin at noon, but all those planning to attend are asked to arrive no later than 11:45 a.m. to be seated before the service begins. Following the service, the public is welcome to follow the funeral procession to Mountain View Memorial Park, located at 3016 Kalmia Ave in Boulder. Defensive coordinator Jim Leavitt is the highest-paid CU assistant coach, at $511,900.00. That’s only 89th nationally, but 8th in the Pac-12 (among the ten state schools which report. USC and Stanford are private schools). According to USA Today, no Pac-12 assistant coaches are in the top 25 nationally in pay. Overall, CU assistants are 45th in the nation in total pay (10th out of 10 among Pac-12 state schools). The CU Athletic Department will open CU’s Football Legacy Hall in the Champions Center on Wednesday from 11 a.m. to 2 p.m. The public is invited to stop by and pay respects to Buffs legend Salaam and the Heisman Trophy. Paid public parking is available on Level 1 of the parking garage at the corner of Stadium Drive and Folsom Street. Visitors may gain access to Legacy Hall through the lobby adjacent to the CU ticket office and Team Store. We encourage you to share your favorite story or memory about Rashaan on our Facebook page. As a junior, Salaam led Bill McCartney’s 1994 Buffaloes to one of the best seasons in CU history, an 11-1 finish that included a 41-24 win over Notre Dame in the Fiesta Bowl and a No. 3 ranking in the final polls — still the second-best finish ever by a CU team. Salaam was a runaway winner in the 1994 Heisman voting after rushing for 2,055 yards to become just the fourth player in college football history at the time to surpass the 2,000-yard mark. He won the Heisman by 248 votes and 842 points and was also a landslide winner in the voting for the Doak Walker Award, given to the nation’s top running back. He also became the fifth player in CU history to earn unanimous All-America honors. Release from Denver KUSA 9News website … Rashaan Salaam, who rushed for more than 2,000 yards for the University of Colorado on the way to winning the 1994 Heisman Trophy, died at a park in Boulder, the county coroner’s office confirmed Tuesday afternoon. Salaam, 42, was found at Eben G. Fine Park on Monday evening. A determination on how he died was not announced, pending an autopsy. Boulder police spokeswoman Shannon Cordingly said someone called 911 just before 9 p.m. Monday and reported a body in the park, which is located on the west side of town near the entrance to Boulder Canyon. In 1994, Salaam rushed for 2,055 yards and 24 touchdowns as he led the Buffalos to an 11-1 record and a win over Notre Dame in the Fiesta Bowl. CU finished that season ranked No. 3 in the nation, the second-best ever finish for a Colorado team. From the Broyles Award … The Frank & Barbara Broyles Foundation is pleased to announce Brent Venables is the winner of the 2016 Broyles Award. Venables, defensive coordinator and linebackers coach at Clemson, is the 21st recipient of the Broyles Award, given annually to the top assistant coach in college football. Coach Venables was honored, along with his fellow finalists, at a Tuesday luncheon at the Marriott Hotel in downtown Little Rock. From CUBuffs.com … The University of Colorado has selected PrimeSport, the leader in collegiate fan travel, hospitality and ticketing, as the Official Fan Travel and Hospitality Provider for Colorado Athletics. PrimeSport will work with CU Athletics to build travel options for fans following CU teams on the road. While the partnership has officially began, the first travel options will be offered for the CU bowl game. Additionally, “bucket list” type events such as the Kentucky Derby and Masters will soon be made available. Travel packages can include roundtrip airfare, hotel accommodations, the official CU pregame tailgate party, game and airport transfers, game tickets, souvenirs, and much more. For more information on official Colorado packages, visit PrimeSport.com. From CUBuffs.com … Colorado has always made the state of Texas a recruiting priority, and playing a bowl game there will no doubt help. CU currently has 10 players from Texas on its roster: OLB Jimmie Gilbert, OL Jonathan Huckins, DB Uryan Hudson, OL Jeromy Irwin, TE Sean Irwin, OL Sam Kronshage, DT Eddy Lopez, QB Steven Montez, LS Austin Shaw and LB Jacob Stoltenberg. Who … No. 12 Oklahoma State Cowboys … Colorado owns a 26-19-1 lead in the all-time series, with Oklahoma State winning the last two games played between the two teams, in 2008-09. CU’s last win in the series came in 2005 – the last year the Buffs posted a winning record – with CU posting a 34-0 victory in Boulder. Oklahoma State finished the regular season with a 9-3 record. The Cowboys were 7-2 in Big 12 play, tied with West Virginia for second place. Like the Buffs, Oklahoma State is coming off of a conference title game loss. While the Big 12 conference does not have a conference title game, the Bedlam rivalry game against Oklahoma was a battle for the Big 12 title and a berth in the Sugar Bowl. Oklahoma won on Saturday, 38-20, to take the title. Oklahoma State lost a controversial decision to Central Michigan back in September. “Central Michigan stuns No. 22 Oklahoma State on controversial finish” can be found here. The Cowboys’ other loss was to then No. 16 Baylor, 35-24. After falling to Baylor, Oklahoma State ran off seven straight victories, including a 49-31 win over then No. 22 Texas and a 37-20 win over then No. 10 West Virginia. Key player: Mason Rudolph quietly ranked among the top quarterbacks nationally over the final two months of the season. Rudolph improved upon his first season as the starter a year ago to grow into the Cowboys’ offensive leader and primary source of production during a six-game midseason stretch in which OSU averaged 42.7 points. Motivation level: A 10-win season remains within reach, but Oklahoma State enters the postseason still feeling the sting of disappointment that Oklahoma delivered in taking a Big 12 title from the Cowboys’ grasp. Rudolph and many of the top weapons, offensively and defensively, return next year, so there’s incentive to gain a head of steam for 2017. Key player: Liufau. Steven Montez is a capable backup with a bright future, but perhaps no one in the Pac-12 meant more to his team this year than Colorado’s senior quarterback. Motivation level: High. This is a program that hasn’t won a bowl game since 2004 or played in a bowl since 2007. That should tell you everything you need to know about what it means to Colorado. 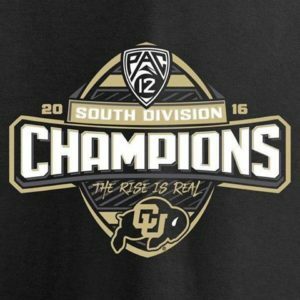 From CUBuffs.com … There is still more history for the 2016 Colorado Buffaloes to write. It means they will have to put the sting of Friday night’s 41-10 loss to Washington in the Pac-12 Championship game behind them as soon as possible. It won’t be easy. The Buffs played all season with a stated goal of winning a Pac-12 title. The devastation of coming up short was painfully evident on the faces of the players in the postgame postgame locker room at Levi’s Stadium. … The Buffs will learn their bowl destination Sunday. The College Football Playoffs selection show begins at 10 a.m. on ESPN, with the semifinal pairings scheduled to be announced at approximately 10:30 a.m. The pairings for the remaining “New Year’s Six” bowls — Rose, Sugar, Orange and Cotton — will be be announced at approximately 12:30 p.m., with the rest of the bowls then working to fill their spots with their contracted conferences. Colorado’s chances of the the program’s first-ever Rose Bowl berth no doubt took a hit Friday, but the possibility still exists. Other possibilities are the Cotton, Alamo and Holiday bowls. A number of factors will be in play. One is whether 12-1 Washington is awarded a spot in the CFP semifinals. In the unlikely event the Huskies don’t remain in the CFP’s top four, Washington would automatically go to the Jan. 2 Rose Bowl as the conference champion and play a Big Ten team. But if the Huskies do advance to the playoffs, the Rose will have the ability to choose between Colorado, which was No. 8 in last week’s rankings, and USC, which was No. 11. Those rankings, however, are likely to change, particularly given the fact that both the Buffs and Trojans now have three losses and the Trojans own a win over Colorado this season. If Colorado isn’t selected by the Rose Bowl but does remain in the CFP’s top 11, the Buffs could be a candidate for the Jan. 2 Cotton Bowl, where they would face Western Michigan. Next on the list would be the Dec. 29 Alamo Bowl in San Antontio, where CU would likely see old Big Eight and Big 12 foe Oklahoma State. There also remains a possibility that the Buffs could slip to the Dec. 27 Holiday Bowl in San Diego. Press release from the Pac-12 … The 2016 Pac-12 Football Championship Game didn’t go how Colorado wanted it to, but anyone who expected a downtrodden Mike MacIntyre at Friday’s postgame press conference would have been in for a surprise. The Colorado head coach arrived with a list of accomplishments, and read each bullet point. The Buffs, 1-8 in conference play in 2015, flipped the ledger to 8-1 this season. That feat helped Coach MacIntyre earn Pac-12 Football Coach of the Year and Walter Camp National Coach of the Year honors. On Friday night, Coach Mac credited his players for the turnaround on the field, and in the stands. Was the loss to Washington in the Championship Game disappointing? Of course it was. MacIntyre didn’t sugarcoat it. But this year was about more than just one game. And this loss doesn’t detract from that. The final game of the regular 2016 season against Utah was the first sellout at Folsom Field since 2008. The future looks bright in Boulder, and the University is ready to rally around their Buffs. And Coach Mac is ready. This post, about the Postseason game, from the 2016 Season, is filed under Article. Leavitt exiting befor the bowl game is low class. Great D coach and a big part of the rise this season, but low class move and contributes to some of the problems with the college coaching carousel. Ok so this will be Tumpkin’s interview for DC. It will come down to in-game D adjustments. Go Buffs. It was Howell who kept tellin us that Leavitt would only take an HC job and it had to be a good one. But I am also another one who believes this was an event that was going to happen anyway. I never paid any attention to any potential tension on the sideline between MM and JL but after reading all their bios, quotes and any other insight I could gain onto their personalities they definitely seemed to have opposite personalities. And then there was the fact that Leavitt’s name must have been like beetlejuice to Mac. Speaking of personalities I never bought into the HC job only mantra especially when assistant salaries at moneyed schools are higher than the HC averages in all the mid major schools. Another attraction to Oregon was that he wont have to carry a stagnant offensive plan (apologies to Chev who I still dont think has all that much input into the final product). Unfortunately I dont see lingering getting an HC job anywhere other than a small private liberal arts school. He seems too much of an introvert. I wouldn’t doubt that with all these awards coach Mac is winning and Leavitt not getting anything……might lead to a little anger and maybe a “watch what I can do at Oregon” and well see who was the real genious behind CU football this season. Just speculation. Ol Mac2 is sure wadding around in all those COY awards and trophies. And lots of bonus money too and more to come. Then of course the ol SID Plat-man jumps in and whoa again. Like I say, ” I hope Mac2 retires here.” But now I add, not sure he can. VK… I can’t grasp the meaning. Please expound. The interview. The guy he hung up on sent out those comments. Rude dude. He just asked Mac if any schools had contacted him and he replied “no comment” The guy kept pushing so mac finally said okay thanks for the interview, gotta go and hung up. Well there ya go. Is that what you meant when you said you no could grasp? I am officially torn. While I appreciate all of the work he has put in turning our program around I am so sick and tired of someone saying I will not leave unless it is a head coaching job, and then leaving…. What makes this worse is this is to an equal position at a school in our own friggin conference. Very disappointed. Was it the tension with Mac? The pay? Heck a head coaching job anywhere would have been acceptable but going to be a DC at Oregon seems so meh….. I hope our offense obliterates the ducks next year. He is officially off of my Christmas card list. Then I hope they destroy em whether he is there or not. The Leavitt news, while disappointing, is no surprise. Leavitt was only going to stay if he could be a head coach, and that wasn’t going to happen. Coupled with the obvious tension between he and Mac, it makes it easy to JL to leave. He will make significantly more money, and will coach for someone who truly wants him. Mac needed him, but didn’t WANT him and it was apparent that there was too much tension for Leavitt to remain. I hoped we would have had JL for one more year, but as all great personnel have (alternatives),it was a matter of time before someone was going to make him an offer he couldn’t refuse. That offer didn’t have to be much since he is taking the same position at a school that isn’t clearly better in terms of opportunities than what he currently had. It should be a great thing to have programs come after assistants,that means they are quality. What should concern a program is when their assistants are NOT pursued. That speaks volumes. I look at it this way. There is another Leavitt out there somewhere (hoping it is Tumpkin). JL got us light years ahead of where we were, but there is no need to stop the progression. IF we can get/ have an assistant that loves being at CU and Mac doesn’t clash with, then all is great. JL was immensely fun, and a great personality, but who knows how much unnecessary tension there was in the staff and player ranks with the obvious issues between Mac and JL. This cold have evolved into a real divisive thing in the program, and perhaps ultimately the best thing that could have happened long term is for this to have happened. Not happy we lost Leavitt to OU, this could have been avoided by RG if he had addressed extensions and raises a couple of weeks ago. A nice raise and extension could have been nailed down before any other team came a poaching. RG’s plan of let’s wait until after the season ends to talk extensions had me worried that this would happen. This is the time of year (when their seasons end without a bowl game) when schools come offering lots of money to poach a good coach, a solid raise and extension could have prevented this from happening. And, an increase in attendance of 10,000 tickets per game is a lot of revenue that could have been used to pay for those increases, so no excuses as to the budget. It’s sounds like it’s not a done deal (completely) so get on it RG and at least try to keep Leavitt. Like everyone else I was disappointed to hear that Leavitt was leaving, but let’s be honest if someone offered me almost triple my current salary I wouldn’t even log off my work computer…I would just walk out the door. It will be interesting to see what happens next year, let’s remember Leavitt was coaching a veteran defense this year. Also I believe Tumpkin’s defense was in the Top 30 at CMU before that staff was let go during the (2014), so I think he should be at least considered for the job. Additionally, GB on was the radio and indicated that Leavitt is wanting to be a head coach and is trying to do whatever he can to position himself to be one again. In my opinion, IF he’s succeeds at Oregon he’ll be gone before his contract expires. Is it frustrating…YES, but this team is tough, resilient and will overcome this loss. I hope this team takes its frustration out on the Cowboys on the 29th!!!! Can’t wait to see Ralphie run in San Antonio…GO BUFFS! Nah, Key is what he didn’t say. “I love the head coach”. WB was right about the Friction. There is no question, Mac2 needed him and that Mac2 didn’t want him. Good catch on the twitter absence. I missed it, but you would have thought he would have thanked Mac for the opportunity, and didn’t. Silence speaking volumes. AllBuffs. Strange place. Read it now and then. From AllBuffs. Stuart likes em I know. Strange bedfellows. In case you don’t go there. (I helped Stuart get his sight cranked up. Ask him. Sent me a hat and a mousepad) Anyway Stuart has a nice site. Q….I mean besides drink all our Pepsi and collect a paycheck, what exactly did Leavitt do here?? A….Nothing. It also sounds like we can cut bait on Clark and Tumpkin since Mac is the one putting in work with the DBs. And it sounds like we can just bring Baer back since DCs don’t really matter much since MM is here and oversees everything and does everything. Talk about a freaking bargain, what do we pay MM? 2 million or something? So barely more than Leavitt now makes. What a score! This could be a good lesson for HCMM. As a leader you want to hire and enable people that are more talented than you are. As a transformational leader you are the enabler that concentrates astounding talent in one place, at the same time. You make that talent feel more special and appreciated than they could anywhere else. With that collection of talent you demonstrate that they all are better off together, under your leadership, than apart and away from you. That is the height of leadership; serving your amazing team. It is hard. Jim Leavitt is more talented than HCMM, by far…but he is not a head coach (he is a DC to the bone). He needed to be praised, he needed to be recognized and he needed to be rewarded. How hard would it have been to say: ‘JMFL has been a godsend, he is an amazing talent and he transformed this defense?’ JMFL is not head coach material…he does not realize the above paragraph. JMFL is talent and you need talent. HCMM has tended to have underlings that are a lesser talents than him – like all the folks he came over from SJSU with. I am sure that felt comfortable, but it is no recipe for winning. If he is a circumspect man, and I think he is, HCMM will learn from this. He is a decent man, with great character and I am glad to call him coach of the CU buffs. He needs to deflect the limelight onto others. He needs to fully step to the next level. >>>>>The joke will be on Oregon once they figure out the real genius behind the CU defensive turnaround wasn’t Leavitt, but Kent Baer. ?? ?Loan guy would agree. …..This move has ZERO to do with money. This was 100% about HCMM pushing him out due to differences! I personally feel CU just lost the second most important coach in the history of CU football and is left with MM!!! Did JL, by the way, thank MM on his way out? No, he thanked CU, players, alumni and Boulder. While not a popular comment on this site, I have never thought of MM as a great coach, rather a good leader of a program. I was excited to get JL the day he was hired and enjoyed what he brought the players, the team and the community. I now go from belief to hope, in hoping this program can excel but have serious doubts. This is a sad day in Buff History! I hope Mac2 retires here. Interesting … Nothing against AllBuffs, but “bedfellows”? Please do a search for the last time I posted there (I’m “Montana Buff”, if that will help). “I helped Stuart get his sight cranked up”? Wow. Just Wow. I’ve sent out hundreds of mousepads and dozens of hats, but this is the first time anyone has taken credit for helping with the website. charge everybody, I am in. Ya but you read it. Just like me. They mention your site a lot. Mention you as well. Strange bunch of guys. Okay bedfellows may be a reach. How about, Blogfellows. Maybe some “loan guy” should sponsor your site? I’ve been considering it. We don’t advertise. Completely referral based (we’ve been at it a while, so our network is pretty deep, but? We can talk). VK would love to see my logo all the time. Feel free to reach out Stu. I love CU, players, Boulder and all alum! Been great to me! Couldn’t pass up opportunity for family! South Champs! Been a great ride!! Bummed to learn of Coach Leavitt’s departure – and it stings quite a bit more than it otherwise would since he is staying in the Pac-12 – but I do not know who among us would turn down the opportunity to earn 3x as much money while working for/with a good friend. I wish him well. He did a hell of a job while he was in Boulder. I worry, short-term, about the impact of his departure on the Alamo Bowl game-planning/preparations. As great a year as the Buffs have had, it would be a real downer if they go 0-2 in December to finish it. Always about the money. No question. If the numbers are correct he will be at about $1,300,000 Nice. About a #800,000 pop. He earned it. Got ALL the other coaches raises as well. The coach who beat him out for best assistant this year, is making $1,400,000 a year. Buffs don’t play em the next two years. Go Ducks whip those guys and help us out. Buffs gonna beat em too. I’m not sure what the early list would look like, but…. I would take a hard look at Phil Snow out of Temple, and as a long shot, pulling Tosh Lupoi back to the west coast. Total wishful thinking here, but all I want for Christmas is the Mad Hatter as the Buff’s next DC (and 3 or 4 of those big, nasty DLs from his Houston/Louisiana pipeline)! Hey, Santa, if you really exist, prove it! Too funny you brought that up. I didn’t read your post, but between the Mad Hatter or Tosh Lupoi, my Christmas would be just splendid. I know both are long shots, but Tosh is one of the bast candidates on the market, and a west coast recruiter. I guess those hoping Oregon’s fall from grace this year would continue are going to be sorely disappointed. Leavitt will do there what he did here, and probably quicker since he will be there for the last 6 weeks of the recruiting cycle as well as spring camp. I want to be the first to thank Jim Leavitt for the amazing job he did here at Colorado. The Buffs may have made a bowl game this year without him, but there’s no way they would have won 10 games and earned a Top 10 ranking had he not been here. Colorado has a history of going cheap when it comes to their coaches, and this time it cost them. Sadly, Leavitt stayed in the Pac-12, so it means that the Buffs will be having to go against one of the top DC’s in the country (who also knows the Buffs tendencies). I’ve never been a fan of Oregon, but I will root for them now because of Leavitt (not against the Buffs, of course). I can’t help but think that the Buffs will regret letting this amazing coach get away. Maybe you don’t understand, the quackers had to pay Leavitt the highest salary ever paid an assistant in the PAC 12 to get him! Not exactly “letting him go”. Are you implying that the Buffs should have matched them? Insane. Mac hired Leavitt, he’ll hire a suitable replacement. Let’s not forget, Mac is the man, Leavitt was his man, not the other way around. Besides, I’d rather pay Chev the big money rather than Leavitt. BTW, never root for the quackers. Not sure what you were reading, but I never said “letting him go” because that would imply that Leavitt left at CU’s request. I said “let him get away” because it meant that it was Leavitt’s decision, but one that might have been avoided had Mac shown some (any?) appreciation for what Leavitt brought to the Buffs. And AD Rick George could have been quicker to offer a substantial raise to lessen the likelihood of Leavitt leaving. Also, RG hired Leavitt (and Chiaverini for that matter), while Mac would have chosen to stay with his gang in all likelihood. I hope The Rise continues without Leavitt, but losing one of the best defensive minds in all of college football will hurt. If Colorado insists on being the lowest paying program in the Pac-12 (and one of the lowest in the Power 5 conferences), any success will be quickly followed by their coaches being hired elsewhere. It works out great for the other schools, because they can double what CU offers and still only be paying the going rate. I truly wonder whether Leavitt will be the last to leave. Tumpkin is vastly underpaid, and Leavitt knows how good he is. How insane is it to let great coaches go? Boulder is beautiful, but it’s not worth half the salary. Let’s see how it all shakes out. Will Tumpkin stay? Will he be offered the DC position? The ball’s in Mac and RG’s court now. Let’s see what they do with it. Hopefully Chev picked his pocket while he was here and learned how to beat him. Well it happened. Leavitt leaving. The money? Something else? Well erik of the loan sharks, we will see now if your Tumpkin, the DC in waiting has you stated if Leavitt left is the real deal. Hope it is not a one year wonder deal here. Mac2 is the CEO, but the work was done by Leavitt. Dang nab it not happy. Well, although I do think Tumpkin will be the next DC, it’s not my call. It’s Mac’s. I’m highly confident he’ll make the right moves for the team and the program (knowing assistant coaches will always come and go). 3) they move on to their next big gig. We’ll see a lot of that last one, I’m sure. But? I’d rather see someone good or great come through and impact the program positively, then move on, than the alternative to that. The other interesting piece will be to see if his turnaround in Eugene is as impressive as in Boulder. They’re not devoid of talent up there. They were just really young. Very similar to the group he inherited at CU. And, to your comment about Mac being the CEO, but Leavitt doing the work? Keep in mind that defense is Mac’s specialty. His calling card, if you will. Where he played, and coached, his entire career coming up. Yes, Leavitt did a lot of work, but the style and tone was set by “the CEO”. Who went and got the guys, Leavitt and Tumpkin, to bring his vision to fruition. It’ll be interesting to see the continued evolution, as well. As I’ve said throughout this year, although they’re losing a bunch of studs on the defense this year, I think there are a whole bunch more that we just haven’t seen on the field yet. Because they didn’t have to be there. Yet. They’ll be ready. Wow. Is it September yet? Oh wait. One more game this year to enjoy. Don’t be sure Tumpkin won’t be going too. Low paid guy on CU Staff. There was a rift. And the rift drove the wedge. You saw it on the sidelines with Leavitt. You saw it on the sidelines with Tumpkin. Mac ( I am Mac and you aren’t) don’t do well with real good Assistant coaches. Does okay with no so good ones. I won’t mention a name. Also, this is not the time to give Mac2 a big raise or an long extension. RG was smart to wait. Gotta see what The Buffs can do next year. Gonna have to change to a real offense. Anyway, hope Mac2 retires here. And you still believing Mac2 got Leavitt and Tumpkin? You are misinformed. Yeah VK, you’re right. There was a rift. A million dollar a year rift. 2) Or you pay them enough that they don’t have to own a piece of the organization. That is, and always will be the key problem at CU. Unless they change the law regarding long-term contracts in the legislature. So? We’ll just get to enjoy your ongoing hand-wringing when good coaches that Mac brings in end up inevitably leaving for their next big gig (and paycheck). Right there Is why I hope he retires at CU…. Good opportunity in this group as well. Now about Timmy. Good player. Good family. All Buffs all the time. Really good kid/young man. Good talent, but amazing what an oline coach can bring out in a talented player. Lucky the Buffs made that change. One more step. Note: Wasn’t there a Buff freshman all American a few years ago? I want to hear a big cheer for Tim Lynott. A Colorado kid who stayed home and STARTED as a freshman on the O line (freshmen rarely start on the O line) and is now a flippin All American!!! I remember when the Buffzone still had a discussion board there was some mealy mouth old man (I could tell because I am an old man too) who was saying before the season started that Tim was going to get the snot knocked out of him by older players on the D line. I hope that guy is reading this. Bernardi 311.000? WTF. Old boy buddy deal. He needs to be gone. Now. No Value Add. Course if Mac2 says he stays then that is the right decision right? Right? I’d say Mac has a better grip on what his staff actually brings to the table than I do. Maybe even more than you do. And, he will negotiate harder than anyone on their behalf. It’ll be interesting to see if he can hold all or most of this staff together for another year. Staff continuity is something CU hasn’t really had in quite some time. And, it actually does matter. I do agree, you don’t want dead wood. I don’t think Mac does either. And, if he does, he’ll set it adrift as he sees fit. Right now, I think he likes the mix of skill, experience and style he’s cobbled together. I really have no idea what Bernardi brings to the table, but he was here in Tucson coaching at a camp, and one of the fathers that I know was very impressed with him. More so than many of the other college coaches that were there. Admittedly, he is coaching a group in the tight ends that are really acting as lineman more than tight ends. That makes it hard to tell how good of a job he is doing, though I think the OL has improved with the switch to Adams. Oh how I wish they would use them more. When the Gronk was down here at Arizona, he devastated defenses. It helped that he could run plenty of guys over but he was open constantly, just like Frazier was when he dropped that pass in the end zone. Yeah, SCJ, I’ve no idea, really. I do think he’s been a good recruiter. And, I think he knows his stuff, and his players seem to like him. As to the TE’s, I’m thinking it’s their consistency in the passing game – or lack thereof – more than anything else that keeps that part of the game from evolving. I expect if they get Falo, and/or more consistency from the guys they’ve got, they’ll expand that part of their game plan. Maybe I’m naive, but, the coaches see them get how many reps a day, week, and year? They’ve proven they’re pretty good coaches. There’s at least one – or several – reasons they’re doing what they’re doing. Despite the lamentations and protestations by some fans, to the contrary. Speaking to his salary vs. some of the others? Dude’s been coaching a long time. So, that probably merits his wages, at least in part. It’d be hard to tell someone who’s decent (or very good) at what they do “hey, you’ve been making this for however many years; why not come over here and make half that?” Some people may do that, looking for a greater upside in that move. But, a lot of people sure wouldn’t. Either way, I’m always curious to see what shifts in our Buffs’ staff happen each off season. I’m hoping not many. Maybe some friggin’ special teams savant coming in. Or, at least a kicker who can boot it out of the end zone, and through a couple goal posts more often than not (although Price may be that guy). So You think he likes the Mix? You also thought he liked the mix with the baer-trap and his sidekick. As I recall you also wanted Toby to stay for continuity reasons. Predicting Bernardi is moving on. Hope so. There’s your revisionist history, trying to support your narrative again. As it relates to Baer, all I said was he’s not the sole reason for the defensive woes. And, on the other side of that coin, Leavitt is not the sole reason for their vast improvement. Experience and depth are huge. They still struggle to stop the run, against good rushing teams, but? They’ll continue improving there, too. Neinas? Never said much about him, one way or another. Special teams is still a struggle. But, that too is getting better. Anyway, carry on w/ your world view and somewhat distorted narrative. It’s your opinion, and you have every right to carry that, and believe it as wholeheartedly as you’d like. I just remind you, periodically, that your opinions are just that. Not facts. My heart goes out to Rashaan’s family, friends and Buffs family. I have lost several close friends in this manner and it is so devastating to family and friends. Since I have been going to games for 40 some odd years I feel like I have lost another friend and I had never met him. Sincere condolences to all. Sad news. Feel for his family and friends. One of the best Buffs ever. Too shocked for words really about Rashaan Salaam. First time I’ve shed tears over a Buff since Sal died. I was lucky enough to see him run in person all his home games and also the Fiesta Bowl following his Heisman win. Great player. Sad day for all Buffs. Sad day for Buffs just found out via 9 news in Denver Rashaan Salaam has passed away. My thoughts go out to his family and friends !!!!! Must have been a real struggle to take Clemson’s defense to the next level…..
Leavitt got hosed, big time! Does anyone know what hotel the team is staying at in San Antonio. Or the hotel being used by the athletic department for the travel packages. I received an email from Dave Plati that the media hotel is the Marriott Riverwalk, but I don’t know if that is the team hotel as well. No Question, the pac12, has the worst bowl connections. Worst reminder of the Pac-12’s bowl agreements: Minnesota. The Gophers went 5-4 in league play, have not appeared in the committee rankings and tied for fourth place in their division. Yet they’re in the Holiday against a Pac-12 team that went 7-2, played for a division title and was in the committee rankings until two weeks ago. These bowls must be popular in China as that is where Larry Scott seems to think the future of the PAC 12 lies! Scott has bleeped up the PAC 12 networks through his arrogance and short sightedness. How about a contract with DirecTV before worrying about the Australasian market? After getting past the disappointment of not being invited to the Rose Bowl, I was happy with either the Cotton or Alamo. Now I feel that the Alamo is ideal as Oklahoma State has its own successful brand and identity plus Mullet Man (who is 40 something and a Man!based on his not too distant rant) and is a quality opponent which gives the Buffs a chance to have a nice recognizable win against a comparably ranked team and an 11 win season. Western Michigan would have been interesting but these types of teams present some challenges: if the Buffs win, many people would say, of course you should beat them, they are in a weak conference and have not played anyone. If the Buffs lose, then the perception would be that the Buffs lost to an inferior opponent regardless of the record. Just my opinions, and maybe a bit of rationalizing, but after letting this settle a bit, I am excited about the match up. Go Buffs!!! I agree with you. Living in Big XII country (Kansas) all I want for Christmas is a victory over Oklahoma State. Hopefully it would quiet my Big XII friends who continue to doubt #TheRise. Can’t wait to see Ralphie run in San Antonio! Very happy with the Alamo Bowl. Short Trip for Ralphie. Not getting the Rose Bowl because of the blow out is too bad. Gonna have to win this game. No deeeecking around. This may already been mentioned but what side of the field will be the CU section in the Alamo Bowl – press box or the other side. I want to make sure we’re sitting on the right side when I purchase tickets. Planes tickets are purchased and hotel reservations have been made!!!! I haven’t seen anything yet, but will post if I see it listed … or when I get my ticket info, as I ordered mine through the school. Great, thanks. Stubhub shows the press box side as the Pac 12 side but the Alamo Bowl site doesn’t specify, so I’ll wait until I can get further confirmation. I don’t want to end up on the OSU side. I’m just throwing something out there. Would it not have been better to turn down the Alamo Bowl and accept a trip to the Holiday bowl? In San Diego, we’d have more fans in attendance, in a better recruiting location (Texas is great for us, but not necessarily San Antonio), and the possibility of playing Nebraska in a bowl game. I think we jumped at the Alamo Bowl too quickly. Money talks. The Alamo pays exactly $1 Million more per team than the Holiday. Sure, I love San Diego, but a million bucks is a lot of money. Plus, we recruit California pretty good these days and it would be great to bring our numbers in Texas back up. Lots of great recruits down there, and Chiaverini is well known. It can only help to have all the press for our Buffs. How awesome is it that we can be so disappointed in not going to the Rose Bowl when we entered the season hoping a praying for any bowl and a winning record? Dave, from what I read down here in Tucson is that CU, AZ, ASU, and other schools can and are doing better in Texas recruiting wise rather then pick up what USC, Stanford, Udub, and UCLA don’t recruit. I don’t know if that is totally a given and it might be hard to prove year in and year out but CU while they have done well at times in CA has had some wonderful players in the past and present from Texas. I don’t think CU had an option on where to go. After the CFP and Rose make there choices the Alamo picks before the other bowls the PAC-12 has ties with. As BoulderDevil put it the Alamo pays more anyway. Plus the Alamo i think is supposed to pick the highest ranked or PAC-12 remaining team. Just like the Rose was contractually obligated to invite USC. Yes, great season and the rise *is* real. And still a bowl game to go! Next year, I think the offense will be better. Sefo needs to be replaced and we’ll get the usual drama that goes along with a new QB, but I don’t see how it can be more drama than last off season. There are plenty of new guys (with lots of stars) to push at OL and receiver. On defense, I’m not as sure. The scheme this year was three guys in the middle of the line that don’t get pushed around, combined with lock down corners that can cover man-to-man on the outside. Everybody knows about Awuzie (team MVP by far), but Witherspoon is really, really good too. Without those five guys in those roles, I’m pretty sure that we don’t have 10 wins this year. All five of those guys plus Olugbode, Gilbert, and Thompson will be gone. I think next year will be more of a rebuild than a reload. I sure hope Leavitt is back next year, in him I trust. There is nothing, except if there is a new OC, who brings a modern offense, knows how to design winning plays, knows how to game plan, knows how adjust in game, to indicate the offense will be better. 4 years of not being able to score enough to win games. Key games. Without Leavitts Legions this offense would have been totally exposed. Maybe 7 and 5. Maybe. Ignore it if you like. Some will and howl about the continuity and the players blah blah blah. About the defense. Losing a lot of talent. Will be interesting to see how this plays out. But, unlike the offensive leader, Leavitt can, does, and will taylor, modify, and design the D to fit the personnel. Still getting to the next level will be a tough row to hoe. Issue as I see it, is the oline (Still weak regardless of stars) and the dline (can the kids in waiting step up …………need those 2 or 3 d-tackle recruits. Uh Oh Great year 4 by Mac and the Mighty Buffalo. Buffs lose to Okie-lite. Defense can slow em down, but the Offense can’t keep up. The rise is on hold until next year. Next year? 8 and 4. And that is okay. The Buffs are back so be satisfied eh? Last anti-Lindgren rant I’m going to allow this week. Find something else to complain about. Thanks Stuart. For the most part, I enjoy reading the comments. However, when the anti-Lindgren bloviates go on their rants like they did at BuffZone its an instant tune-out for me. Glad to see you are keeping the comments section even-keeled. #cubuffs HC Mike MacIntyre on why CU should be going to the Rose Bowl: We’re Pac-12 champs. We won more Pac-12 games. We won more games. Damn right Mac2. We will see. Can’t be Michigan. Shouldn’t be Ohio state. Those two whiner coaches. Especially that goofy woolleyirrene guy. Hanging in Colorado yesterday. The Buffs had a chance to get the Rosebowl bid even with the loss to Washington. But the lingering effect of no offense killed that chance. Yup it did. I still can’t believe Mac2 played Sefo the whole game. Somewhere the leadership of the Buffs got lost, which resulted in a loss. USC will be ranked ahead of the Buffs. Dang nab it. That is really too bad. Projections are the Buffs get the Alamo Bowl against Oklahoma state. Dang Nab it. And don’t forget Nurse Tom and Fat Barry (Both Huskers and you know what the nurse did) are on that committee. No way they allow the Buffs to get to the Rose bowl. The lower they can rank the Buffs the better. Yup some sour grapes whine. Better than that stinky korn meal mash. Note: Why does the big ten have such good bowls? Kornkob community college gets a new years day type bowl. Note 2: AZ’s kingdom for an offensive coordinator. Note 3: ep’s kingdom for someone to help get Mac over the hump. Nice posts. I like the positive one below and putting things into perspective. I had some challenges yesterday letting go of Mac putting and keeping Sefo in for the second half as that led to handing points to Udub. I was wondering who is really in charge of the Buffs? But….it is water under the bridge and as I write this, I will throw it out into the universe and hope for the best bowl possible. An Alamo Bowl or Cotton Bowl would be great, reflecting upon the beginning of the season when any bowl would have been welcomed. Go Buffs. Great Season. The rise is real. Damn Real. Who woulda thunk 10 wins, Maybe 11. What a fantastic season. Will this team be better next year? I think it can, I hope it can, I hope it can. Gonna need those 2 or 3 big D-tackle guys as mentioned by ep. And Falo and Cotton. The D will be better,even with those issues. Leavitt needs to stay. The O? Judgement withheld until we see if any head coaching positions are filled by Buff offensive coaches. If Non, then the mountain top is in sight but that is all. Note 2: Congrats to Sefo for a fabulous career. I have to agree that this team will be better next year. Including the O line. Irwin is staying, Haigler and Lynott will have a season under their belt and Moretti may even see the field. The only wild card at this point is the D line. But please please turn Chiaverini loose!!! and at least ADD a couple of pages to the country’s skinniest playbook before the bowl game. Bill McCartney installed an entire new offense before the bowl game. Skinny playbook is right, 5 fingers means 5 plays, no more no less. Washington had more imaginative plays than CU did. No need to recruit Falo because he knows how his potential career will die coming to CU. The tight end is nothing more than a 3rd tackle, and forget running the fullback, can’t imagine doing that. No more excuses, show some imagination please! Looked like an NFL squad out there Friday night. Before this year……Everyone had a more imaginative playbook than us. We actually had a couple trick plays to go along with the more often used up tempo plays. Hopefully those issues will be settled next year when we relieve Mr. Lindgren from his hold on the offense.